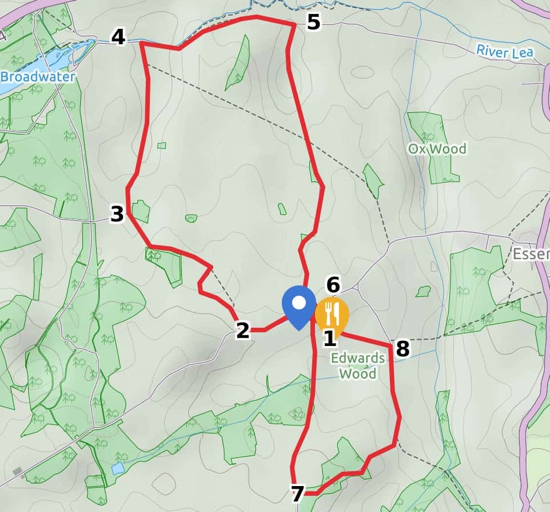 This walk combines parts of two existing shorter walks on this site to make a new figure of eight with the option of refreshments at The Candlestick halfway round. If you intend to stop off for a pint at The Candlestick they will be okay if you park in the car park. Leave the pub car park and turn right. Almost directly opposite to the left is a small lane leading to Flint Farm. Follow this path as it climbs a hill. 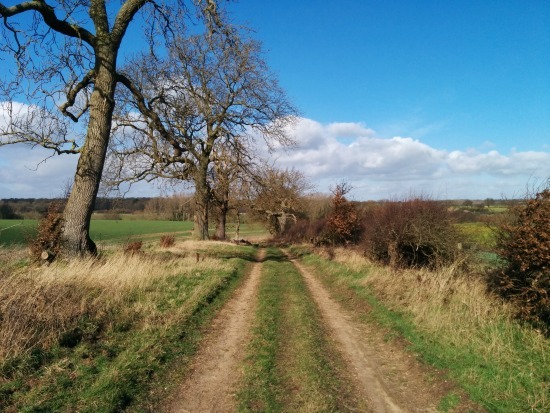 At Flint Farm you will see a bridleway on your right heading north. Turn right here and follow the path as it drops down to Hillend Cottages. Join the quiet lane here and continue walking almost straight north downhill, heading for the river. Continue down until the lane turns left. Here you turn right along a footpath keeping the river on your left. The path bends slightly left, then right, but continues in a mainly straight line until you reach a bridleway joining from the right. Take this path and begin a fairly steady climb south out of the valley and back up to West End. When you reach West End Lane, turn right and follow the lane back to The Candlestick. Continue past The Candlestick, down the hill and up the other side until you reach a byway open to all traffic (BOAT) on your left. Follow this path as it heads north east then north for about half a mile. You will see a footpath leaving the path on the right. Ignore this and continue north heading down hill and then up again. Look out for a footpath on the left as you climb the hill. Take this path back to The Candlestick.